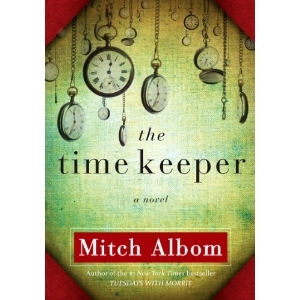 I've been reading The Time Keeper by Mitch Albom along with a few friends and today is my final Time Keeper post. No matter how you are with your time, I feel like you could gain perspective by reading this story. You may or may not identify with Dor, Victor or Sarah. The important thing is that you reflect on how you spend your time and who you spend it with. If you don't stop and evaluate how you spend your time every once in a while, then shame on you. The story's ending was a stretch of imagination, but I liked it. The characters in the novel show how much we can impact those around us and how enriched our lives are when we prioritize the right relationships. As a Christian, I love that God was truly at the center of the story. It was fun to think of a "Father Time" and what role he could play in our lives. I wish anyone with suicidal thoughts would read this book - especially teenagers. 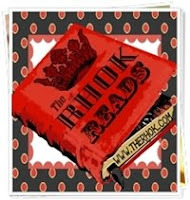 I would love to hear what a teenager thinks of this book. In fact, I just might loan it to one and ask her to read it and share her thoughts. Do you have to live more of life to understand the concepts here? Dor to Sarah (p. 195) - "Time is not something you give back. The very next moment may be an answer to your prayer. To deny that is to deny the most important part of your future." Dor to Victor (p. 206) - "There is a reason God limits our days... To make each one precious." Dor to Victor (p. 208) - "When you are measuring life, you are not living it." Even if you haven't read the novel you can answer this one. Was there ever a time in your life that you thought you weren't making a difference but were later told your actions were significant to another? 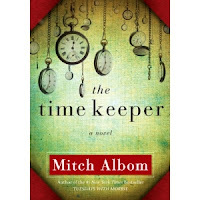 If you read the novel, how has it impacted your use of time?